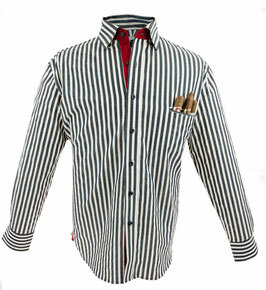 This cigar shirt is designed to showcase the irony of bold simplicity coupled with subtle complexity. 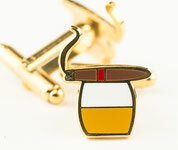 When I think of pinstripes I think of Winston Churchill and when I think of Winston Churchill I cannot help but think of cigars. 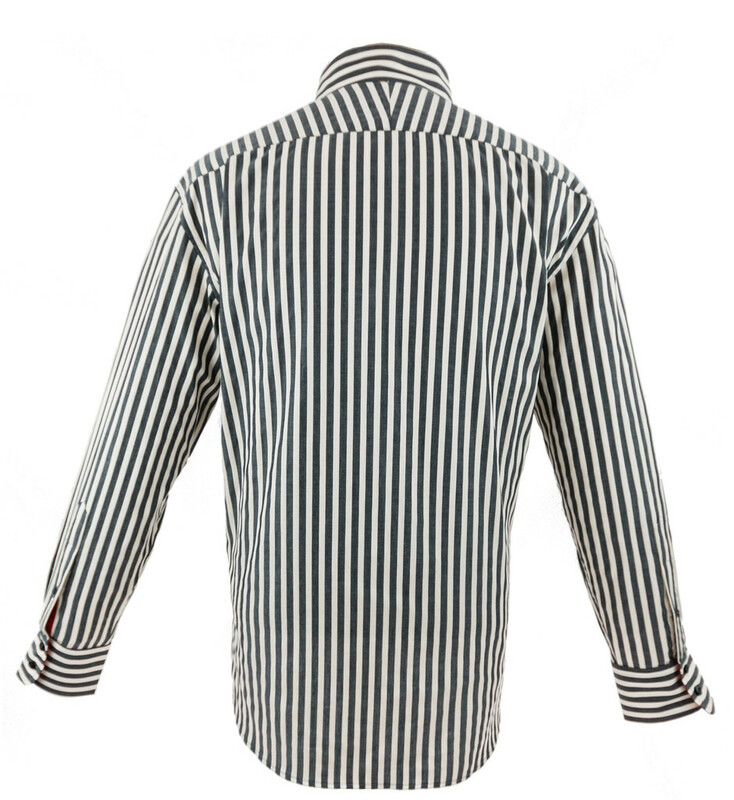 The pinstripe went mainstream in America in 1939 when Clark Gable starred in Gone With The Wind and since then they have been worn by the likes of gangsters and jazz musicians thus solidifying the pinstripe as a staple in any man's wardrobe. 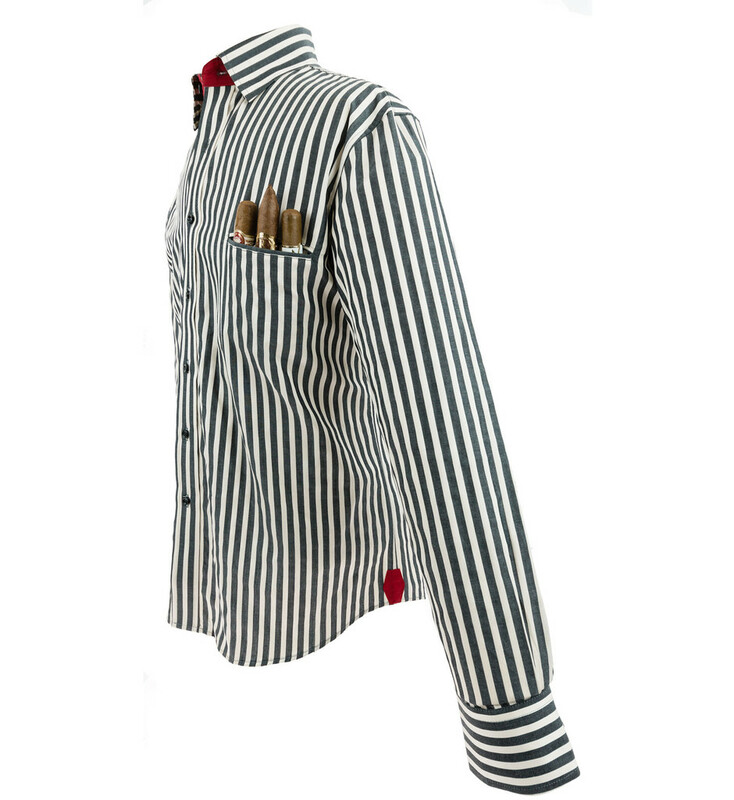 This cigar shirt is designed to showcase the irony of bold simplicity coupled with subtle complexity, the Broadway uses thick 3/4 inch black and cream pinstripes but this classic pattern is enhanced by a bright red contrasting fabric and Nero Black buttons. 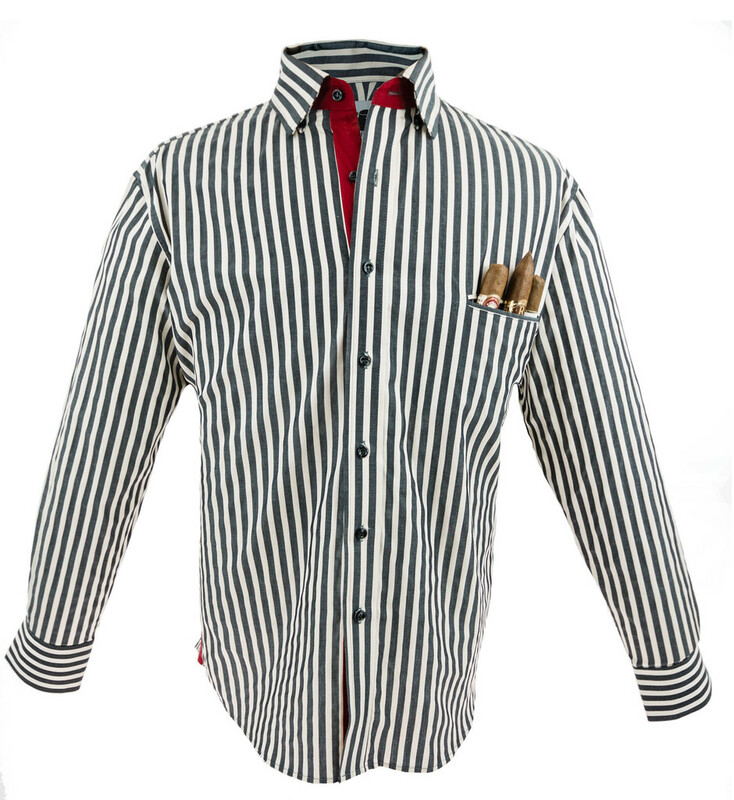 Pair this cigar shirt with a black blazer and off white slacks for a classic clean look that will compliment any cigar lounge.